Special fertilizers containing radioactive cesium (including mulch) Provisional relative value is set and the law enacted. 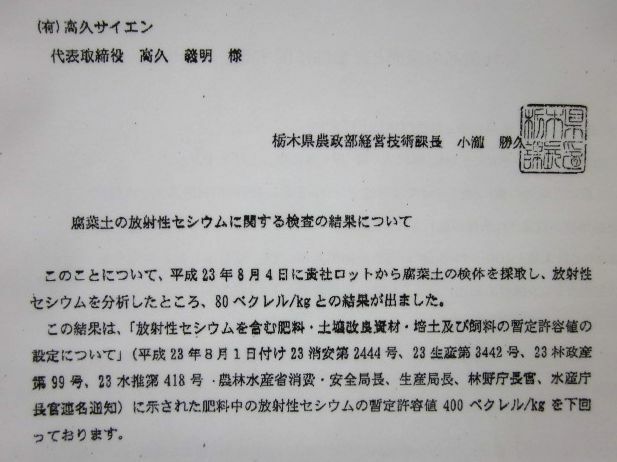 I decided to sell about fertilizer numbers less than 400 becquerels （ level long-term application of fertilizers, etc., also fit in farmland soil of nuclear power plant accidents before radioactive caesium concentration range ） determine the maximum depends on the country presentations and allowed for total amount of cesium. So we are below the provisional relative value 400 Bq products, our sales analysis results of samples of County sales permits and 7/4 with administrative guidance and we will continue to sell. It is fermented leaf litter collected from last fall through winter in the House, after drying store in the building, from time to time bagging merchandise. ■ Enter up to 4 in one piece of luggage. 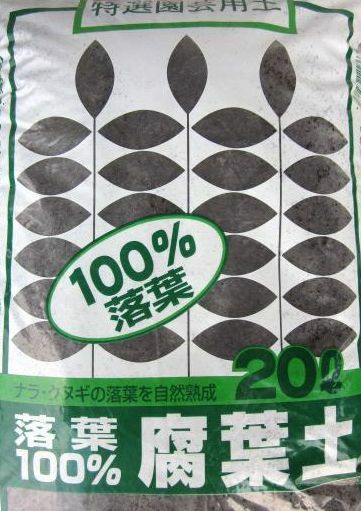 Contains many leaves breathable organic fertilizer also contains the other potting soil and mixing plants in potting soil.